I wish you all a happy new (Gregorian) year! Stay tuned if you wish to hear some news about the project development, its protagonists, some exciting (re-)discoveries of primary sources I made recently and even more. The timeline of ‘Chronologia Universalis’ will unwind shortly. 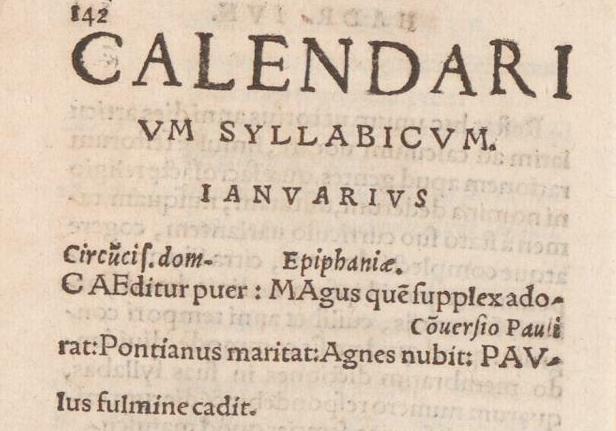 Photo: fragment of a syllabic callendar in Junius Hadrianus’s De Anno & mensibus commentarius (Basel, Heinrich Petri, 1556).